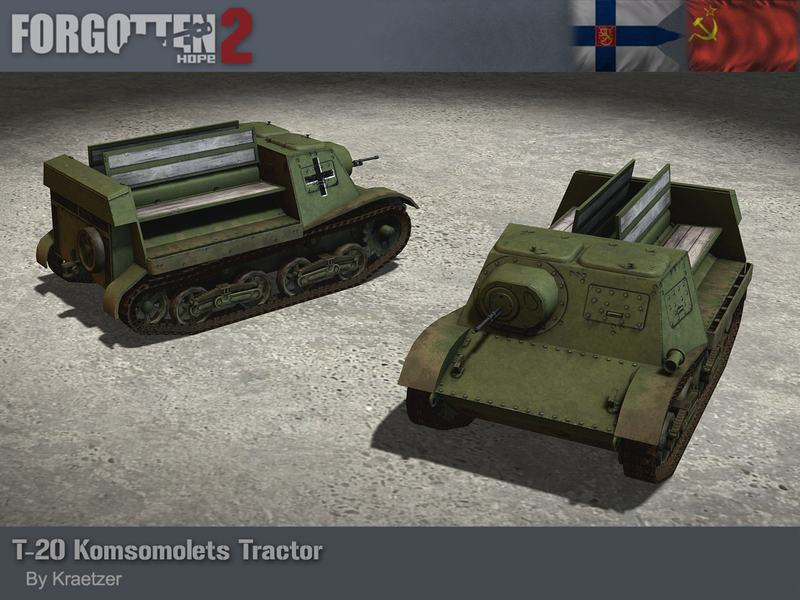 This time we will be introducing perhaps a slightly lesser known vehicle, the T-20 Komsomolets Armoured Tractor. The T-20 was developed in 1936, using a modified hull from the T-38 amphibious tank. It was intended to act as a tractor for smaller artillery pieces such as the 45mm anti-tank gun or the 120mm mortar. Up to 6 of the weapon's crew could be seated on the back, while the driver and commander were protected in the fully armoured front cabin. Nearly 7000 T-20s were in the Red Army at the start of Operation Barbarossa, and they suffered high losses with just over 1600 remaining a year later. The Germans, Romanians and the Finns all captured and used the T-20 for themselves. The Finns used them until 1961. There were some modifications made, the Soviets armed about 100 with ZiS-2 anti-tank guns and used them in the defence of Moscow, and the Germans similarly used a few with Pak 35 anti-tank guns. Our T-20 was made by Kraetzer. The battle for Sicily and Italy was a war of attrition, resulting in hundreds of thousands of casualties for both sides of the conflict. Although often overshadowed by the Western and Eastern fronts, the Italian Front represented was crucial for the war effort by eliminating a major axis power, mobilizing a massive international coalition from nations from North and South America, Europe, Africa, India, and Oceania, and diverting major resources from the Eastern Front. In this campaign, you will get the choice to serve as an Allied liberator, storming the beaches of Italy and liberating Rome itself, or serve as an Axis defender, defending mountains and cities known from antiquity. Tactics and cooperation will be critical in deciding the fate of the peninsula. Every week your team's skills and planning will be tested against an equally determined enemy. 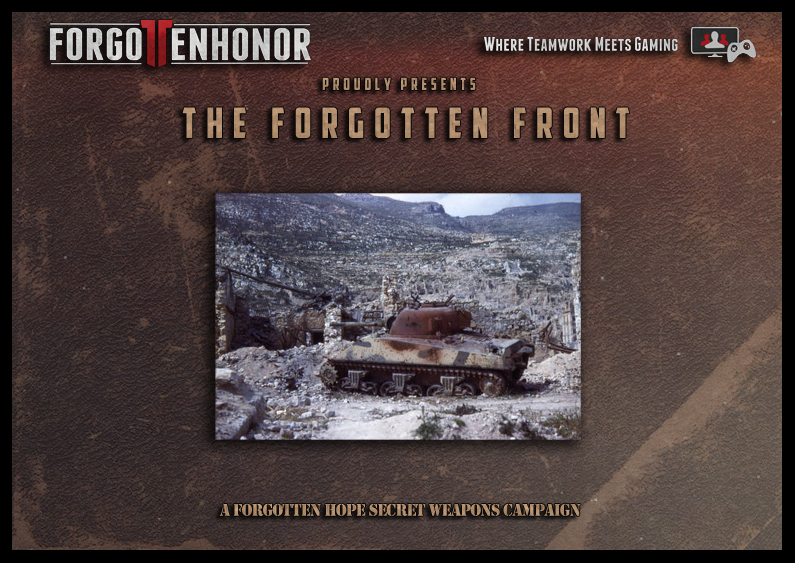 On behalf of the FH1 Management Team we wish you all an unforgettable campaign.